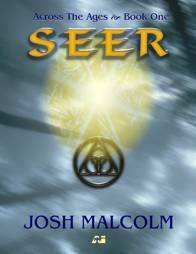 The prophecy is about to come true in a hidden enclave deep within the Flatlands as an aged priest seeks out the man who is chosen to become the Seer. Together the old man and the young step from the safety of the shadows of history to walk in the danger of full light in a quest to meet the Creator face-to-face and to carry his judgment to the Warrior King and the Nations. But just as the forces of good and light are beginning to stir, the lord of darkness is marshalling his troops to stop this single threat at any cost. This is the first book in the Across the Ages series.